If you’ve been tempted by Anna Godbersen’s Bright Young Things, you don’t have to wait any longer. For a limited time, it’s free for Kindle as a pre-order with bonus material, including a look at her upcoming sequel and fashion tips on how to achieve the perfect flapper look. I’ve been interested in trying out this author because of her popular Luxe series, which are apparently very soapy but fun historical YA novels…and this is a great way to get a feel for the author’s style. 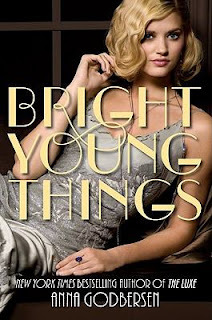 Download Bright Young Things for Kindle for free while the offer lasts!